I think the male mallard is one of our most beautiful birds but they are often unappreciated because they are so common and tame in duck ponds around the country. How much more so the females without the glorious green! At Ridgefield mallards are not so common and quite shy so I photograph them whenever I get the chance, and when this pair swam in my direction I focused on the female on point. 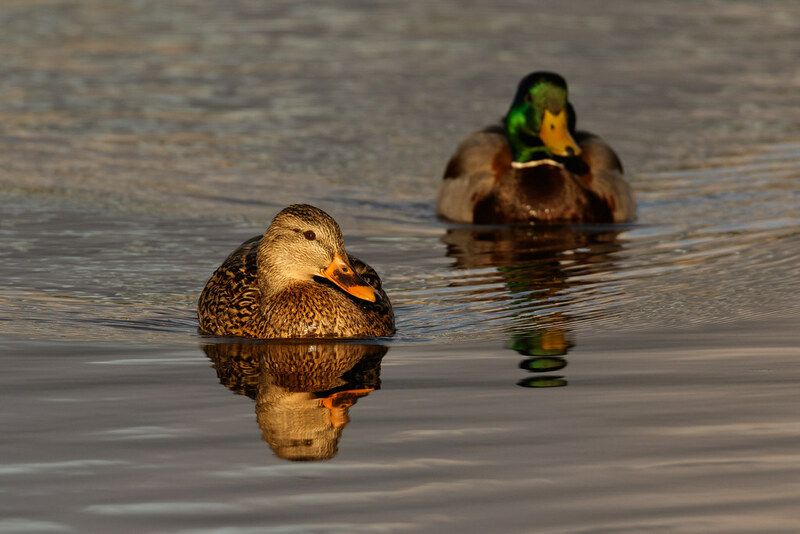 This entry was posted in Birds and tagged auto tour, mallard, Rest Lake, Ridgefield National Wildlife Refuge, River S Unit, swimming, Washington. Bookmark the permalink. ← Goodbye Sun, Shall We Meet Again on the Morrow?